2700 Sq Ft.........Beautifully situated opposite countryside.........No upper chain.......This five double bedroom detached property situated in the highly desired village of Horton, which is located just five miles from Northampton and approximately 13 miles from Milton Keynes. Horton benefits from a variety of different amenities including a church, cricket club and restaurant, also close by is the neighbouring village of Hackleton which is home to a variety of shops and amenities including a primary school. This property is a luxury, high specification, contemporary style build with attention to detail second to none. From the stunning façade with its large Anthracite Grey UPVC windows ensuring maximum light to the larger than average interior designed for today`s modern living you won`t fail to be impressed by what`s on offer. 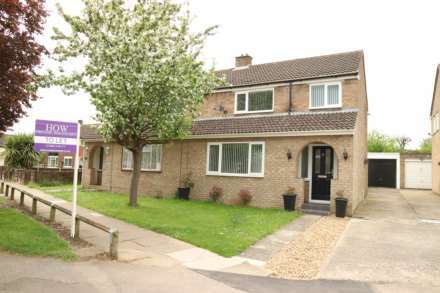 In brief this property comprises; Entrance hall, cloakroom, lounge, family room, kitchen/dining area and utility room. On the first floor there are four double bedrooms, one with an en-suite and a family bathroom. On the second floor you will find the master with a dressing area and en suite bathroom. Outside there is a rear & side gardens perfect for entertaining and a driveway providing off road parking leading to a double garage. Built by Georgian House Developments it is clear a lot of time and effort has gone into making this property the desirable family home it is today and internal viewing is highly recommended to fully appreciate the accommodation on offer. Thermos pro plus feature door by Hormann. Stairs rising to first floor accommodation. Doors leading to lounge, downstairs cloakroom and family room. Fitted in a two piece suite comprising; Low level WC and wash hand basin. Fully tiled. Double glazed doors to front. Double glazed doors to front. Bose surround sound system & media cabinet. Fitted in a range of wall and base units with complementary granite work surfaces. One and a half bowl stainless steel sink and drainer with mixer tap and boiling hot tap. 2 no. ovens, combi oven and built in coffee machine all by Siemens. Double glazed bi-folding door leading to rear garden with large natural sandstone patio. Fitted in a range of wall and base units with complementary work surfaces. Single bowl stainless steel sink and drainer with mixer tap. Full height integrated freezer. Door leading to side garden. Full height double glazed window to front. Built in wardrobes. Fitted in a three piece suite comprising; Low level WC, vanity basin and double shower cubicle. Fully tiled walls. Bluetooth LED backlit anti mist mirror. Fitted in a four piece suite comprising; Low level WC, wash hand basin, double shower cubicle and panelled bath. Fully tiled walls. Bluetooth LED anti mist mirror. VELUX Cabrio balcony window overlooking open countryside. Door leading to ensuite bathroom. Fitted in a four piece suite comprising; Low level WC, his and hers vanity basins, Jacuzzi Steam shower cubicle bath. Fully tiled walls. LED anti mist mirror. Mainly laid to lawn with large patio full width of house constructed in natural sandstone paving. Enclosed by wooden fencing. Side garden leading to double garage and gated access to the front of the property. Up & over doors with power & light & Electric car charger.